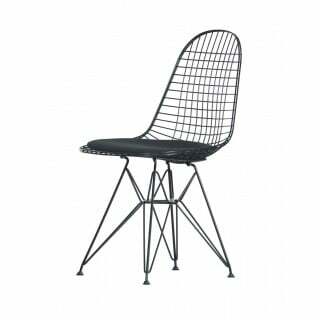 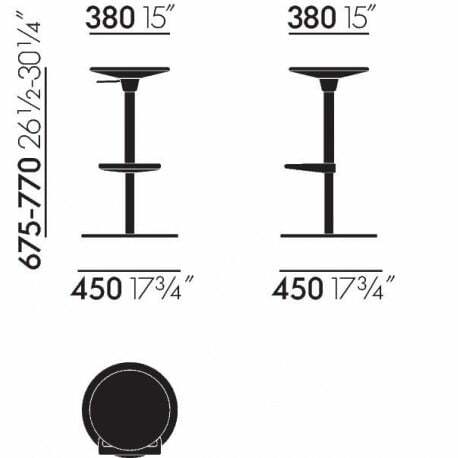 Bar stools are often designed as part of a family of chairs. 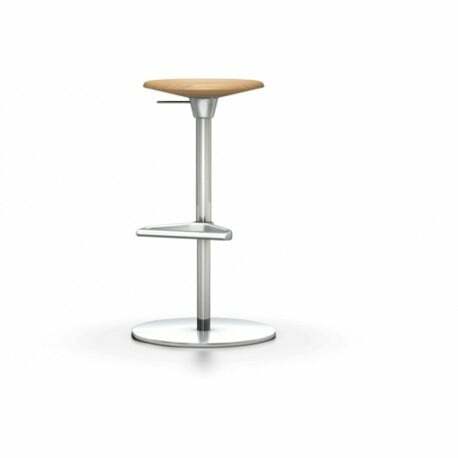 The Zeb Stool, by contrast, was designed by Edward Barber and Jay Osgerby to fulfil the specific purpose of a bar stool: every individual component is precisely developed in the best quality for its designated function. All of its parts – seat and swivel mount made of die-cast aluminium, powder-coated column sleeve, chrome-plated gas spring, footrest and base plate – are precisely coordinated down to the smallest details. 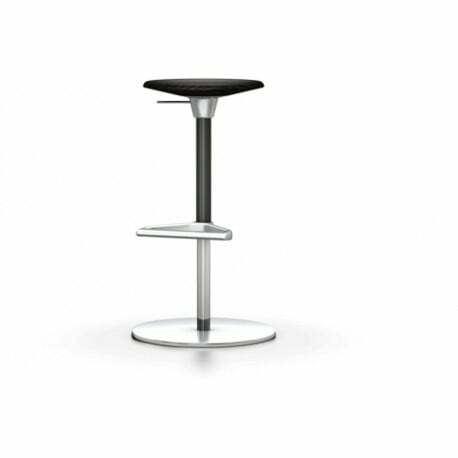 Thus they not only serve their individual purpose, but are joined together in an elegant, unified whole of the highest quality. 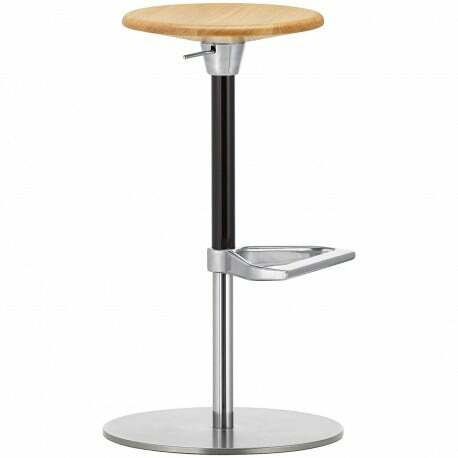 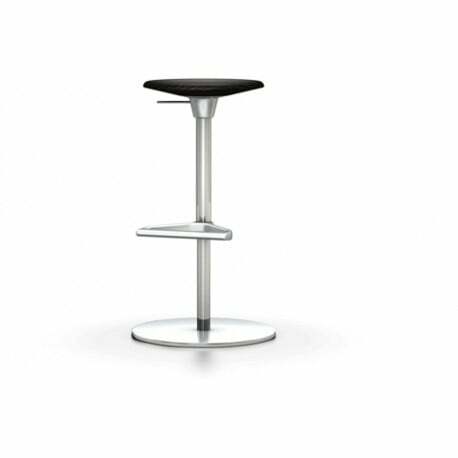 The bar stool has a height-adjustable swivel seat. 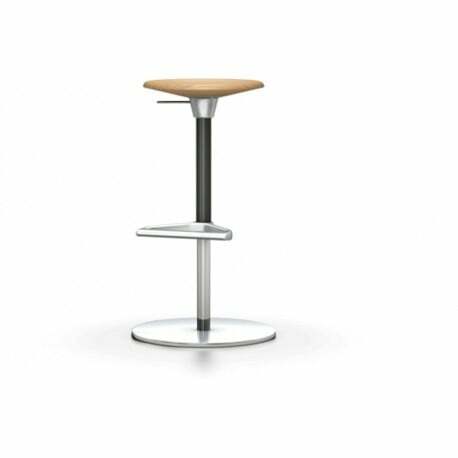 The sleeve of the column comes in various colours, and the round seat is also available in different versions: in wood or covered in leather with either thin padding or softer upholstery. The name Zeb refers to Zebedee, the twirling jack-in-the-box character from the BBC children's television series 'The Magic Roundabout'.